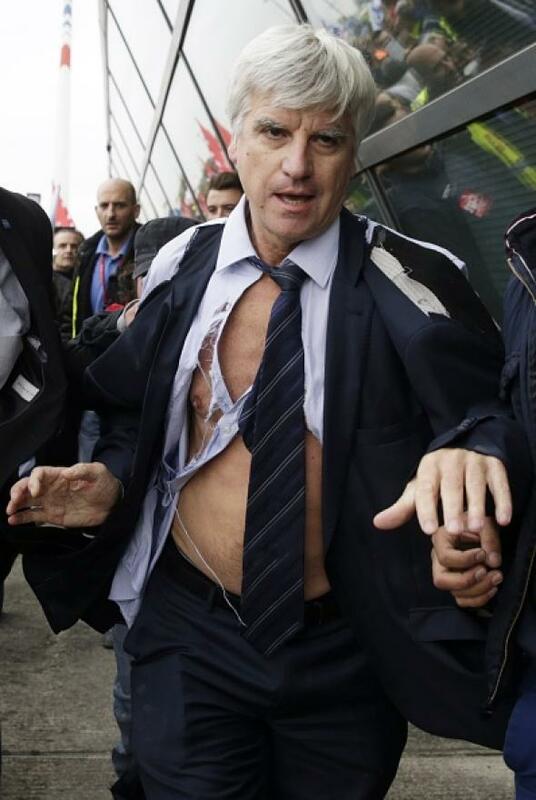 Air France protesters attack executives, rip their clothes off (PHOTOS). Air France executive Pierre Plissonnier climbs a fence in Roissy-en-France on Oct. 5, 2015. The airline is struggling in the face of fierce competition from global rivals and had tried to convince pilots, who earn up to 250,000 euros ($280,000) a year, to fly 100 more hours annually for the same salary. The talks broke down last week, with pilots saying the plan amounted to an effective pay cut, prompting management to lay out the “alternative” version involving job cuts. Air France management said it would file complaints to the police about the attacks.